Prohibitive Mind is a Vex Minotaur leading the Vex invasion of Mars. It is found in A Rising Tide in the subway tunnels under Freehold. 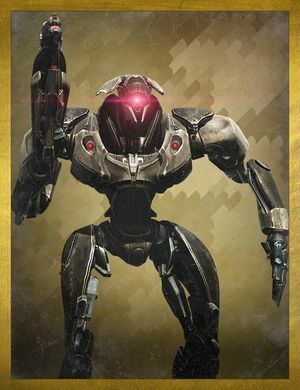 With its defeat, the Vex return to the Black Garden. Although the other members of the Virgo Prohibition have a chassis of dark blue, the Prohibitive Mind has a chassis of worn out grey.